You can’t keep a good character down in Hollywood even when that character has spent most of its existence as one of Marvel Comics’ most notorious villains. The Venom movie based on the popular Spider-Man series character has finally hit theaters, and while some are concerned that it’s stuck in the aughts, we just enjoyed the manic, head-chomping ride. Go watch the movie it’s a really awesome and guaranteed to make you laugh! Venom is based on 2 comics the first which is Venom: Lethal Protector is a six issued comic book by David Michelinie and Mark Bagley that was released in 1993. The story is upon Peter Parker and Venom coming to an agreement to leave each other as long as venom doesn’t commit any more crimes. 2nd comic is Planet of the Symbiotes” is published by Michelinie in 1995 under the Amazing Spider-Man banner. The story was about earth getting invaded by an army of symbiotes with Venom teaming up with Spider-Man and Scarlet Spider to stop them. 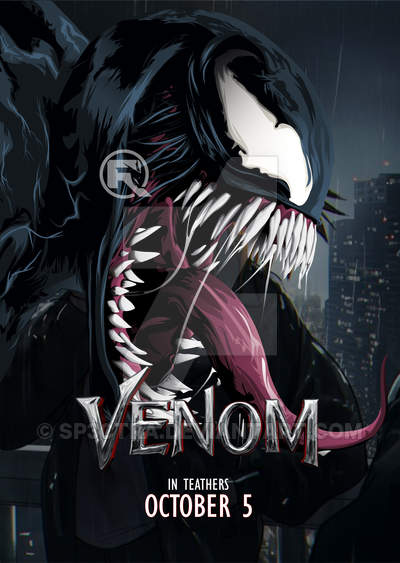 So both of those 2 comics serve as a primary inspiration for the movie “Venom” This story shows Venom slowly adapting to San Francisco while battling and invasion of alien symbiotes.